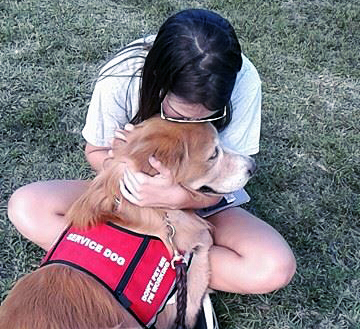 Golden PAWS Assistance Dogs serves many in need. We place a strong emphasis on giving back to the community that supports us. During their two year training program each dog participates in our highly respected Canine Assisted Therapy programs. 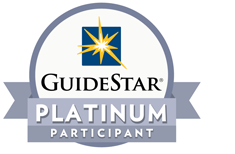 We are the only program of its kind in SW Florida. No other service dog organization in our state commits equal time to community service and the training and placement of service dogs. Our growing list of community partners includes Hazelden Addiction Treatment Center, David Lawrence Center’s Crisis Care Unit, New Beginnings School of Naples, Collier County Libraries & Schools & the Shelter for Abused Women and Children. The Children’s Literacy and Education Golden PAWS Program (CLEPP), is specifically designed to develop a love of reading and nurture healthy reading habits for struggling students. This program has made meaningful contributions to literacy and a love of learning for children who might otherwise have slipped through the cracks. 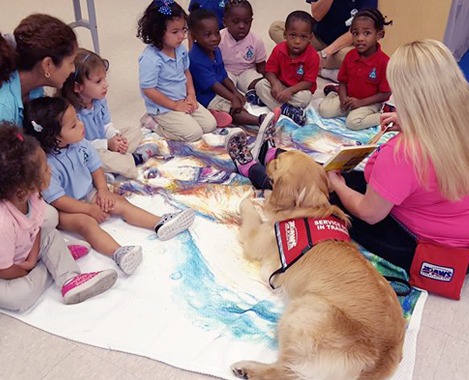 Golden PAWS brings specially trained Golden PAWS therapy dog teams into the community to promote literacy skills and provide character and citizenship educational programs. The target audience is children ages 4-12 who are in educationally disadvantaged situations, faced with low self-esteem, lack of confidence and poor social interaction skills. 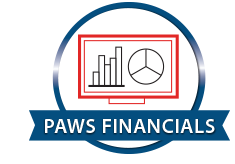 The PAWS Assistance Crisis Team (PACT) program provides teams that work side by side with therapists at community treatment venues providing non-judgmental canine compassion and positive interactive experiences. PACT teams also respond to crisis situations where the innocent become victims of tragic events. 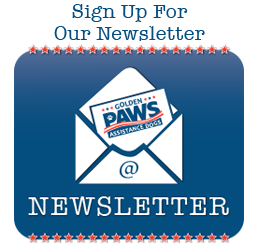 Golden PAWS dogs cross boundaries that humans can’t cross and they do it without words. Golden PAWS Recognizes that transition from military service is not complete on the date of discharge and it can take months, sometimes years for complete reintegration into the community. The Golden PAWS Special Operations and Recovery program is geared exclusively to returning veterans as they assimilate back to civilian life. 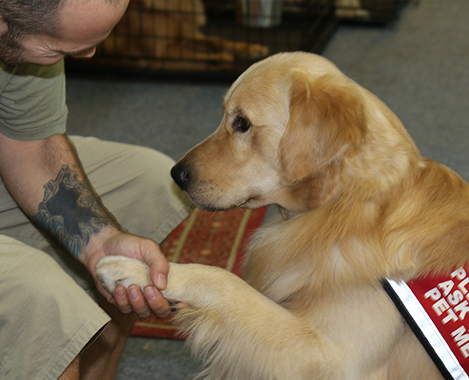 At the Golden PAWS training academy veterans find a safe, secure, and inspiring environment to build valuable skills and rebuild their lives while committing themselves to helping others through training service dogs for other veterans in need.